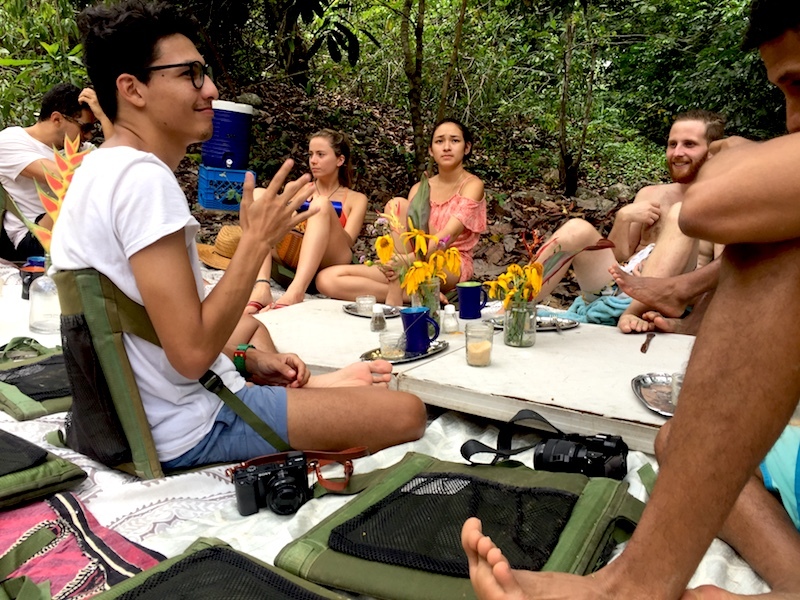 Discover a new way to connect with nature at Bodhi Hostel in Kalu Yala, a sustainable eco-hostel that makes it easy to “survive” in the middle of the Panamanian jungle. After a night out, my alarm started blaring at 6:30 am to get myself ready for this weekend’s adventure. 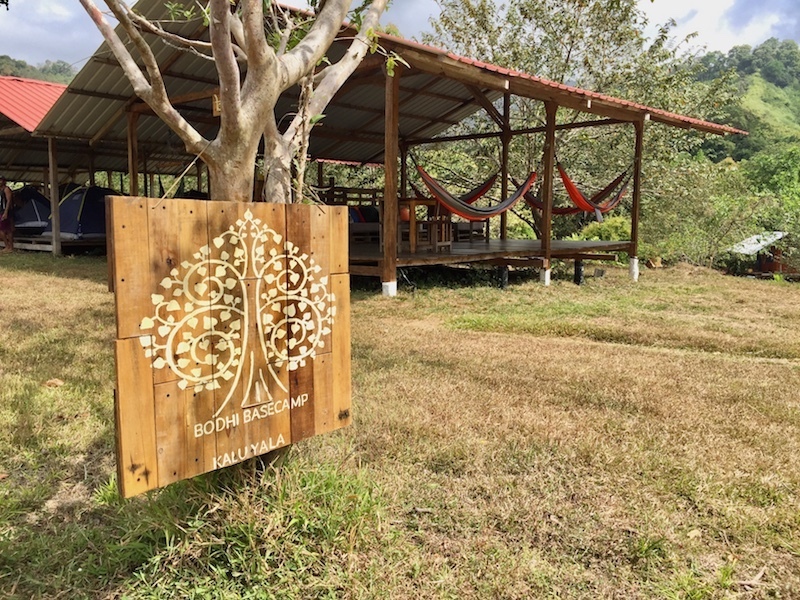 I love being based in Panama City but between all the working, traffic, parties, and events, I always look forward to a weekend away, so an invite to the opening weekend of the new Bodhi Hostel in Kalu Yala came just in time. 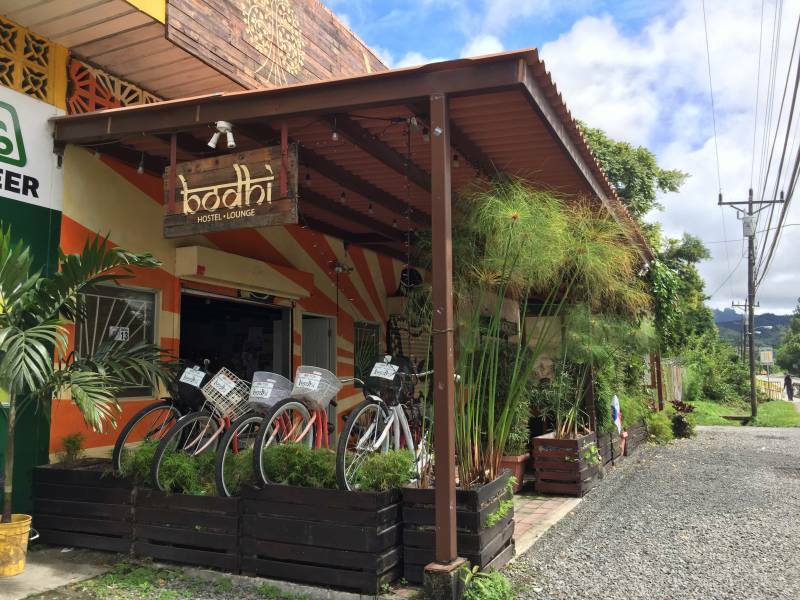 Bodhi Hostel opened their first location in the small mountain community of El Valle a few years ago and has created a concept that focuses on connecting travelers to environments where they can simply disconnect. 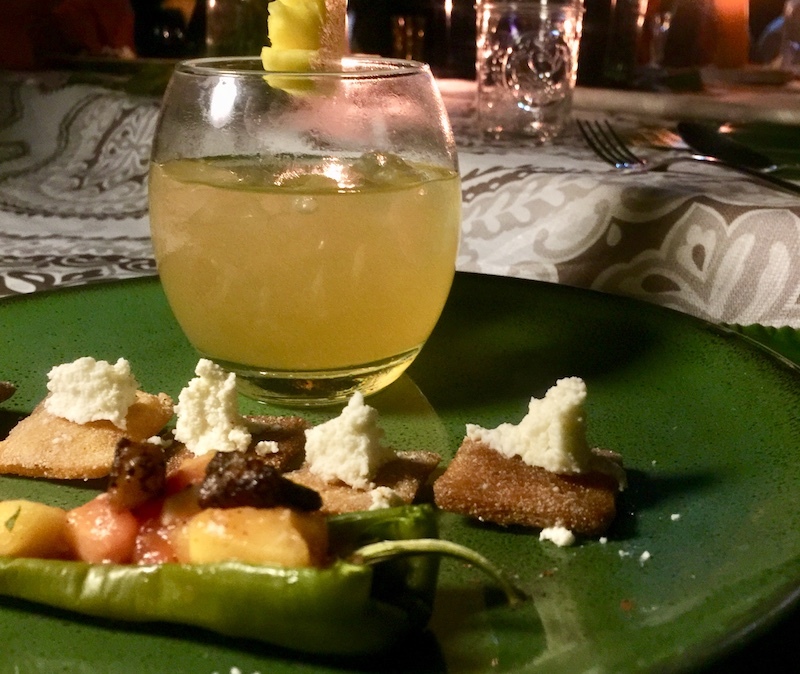 They focus on being as sustainable as possible, provide fun activities for guests, and overall have a young & trendy eco-friendly design throughout. 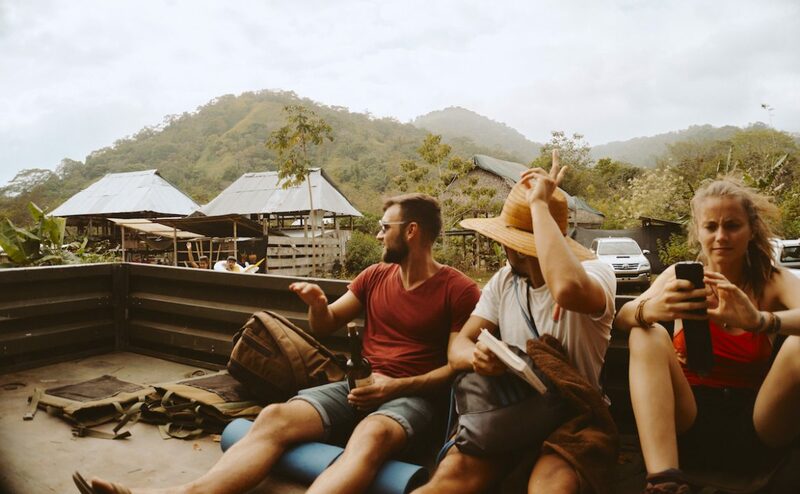 So opening a hostel in Kalu Yala, a remote jungle community in Panama that boasts to be building the world’s most sustainable modern town, definitely fits in with their concept. Getting to Kalu Yala is an adventure. 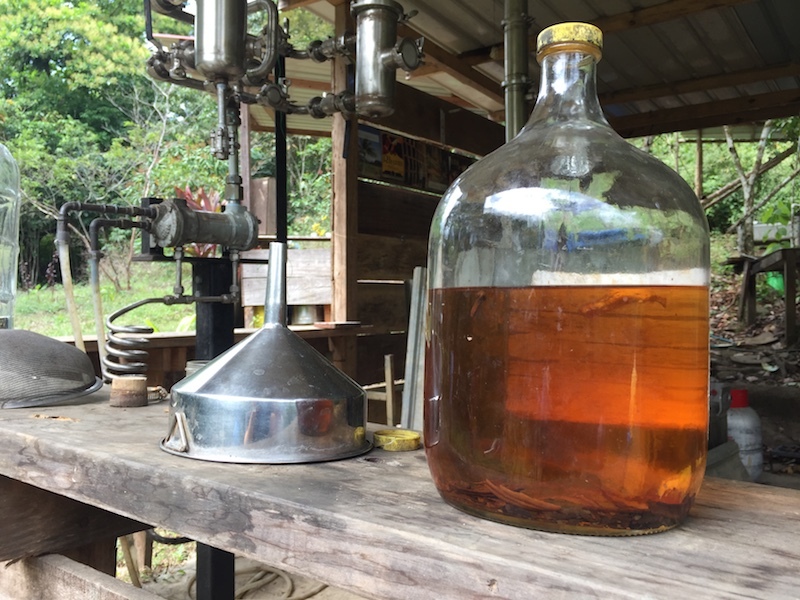 Located about 50 minutes from Panama City, the small town of San Miguel is the first stop to getting to Kalu Yala. This is accessible via public buses but luckily I was able to catch a ride with my friends that were also going. Once in San Miguel, Bruce is the only one that can take you into town. 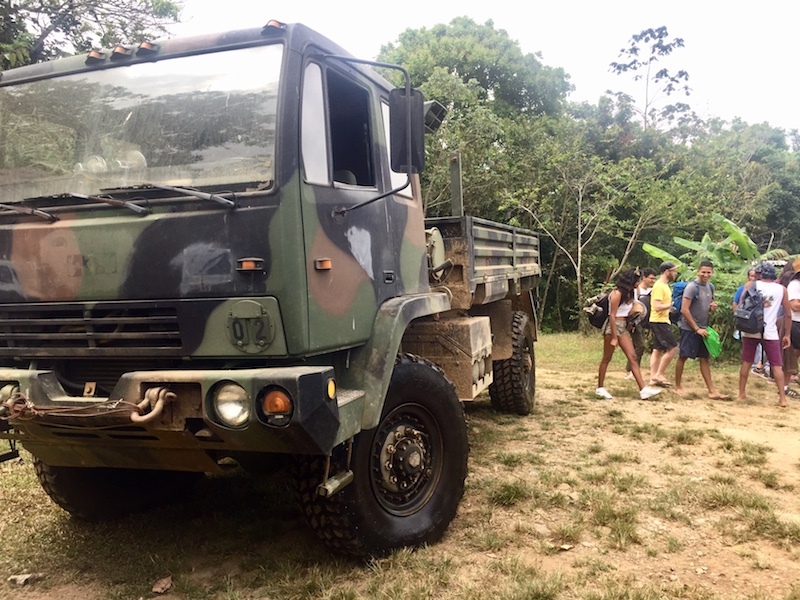 Bruce is the town’s personal beastly army truck that can cross any terrain because getting to Kalu Yala involves crossing rivers and going up muddy slopes. If you have a 4 x 4 vehicle this can also handle the terrain most of the year, but it’s more fun to have Bruce take you there. Our group of 15 or so travelers hopped into the back of Bruce and started our adventure. Holding on, laughing, screaming, the ride is entertaining and takes around 30 minutes. Stepping off Bruce into Kalu Yala is met with an instant feeling of tranquility. We were surrounded by a beautiful landscape of lush green jungle and I looked at my phone and noticed NO SERVICE. Time to disconnect (they do have free WiFi if you need it). We were greeted by the Jo, the hostel activities director, who gave us a tour of the property. 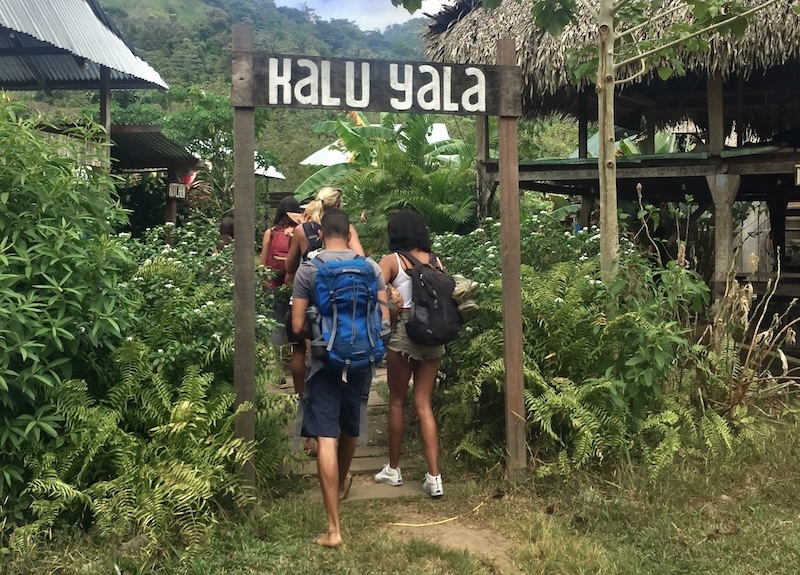 Kalu Yala is striving to be the most sustainable town in the world so everything is built using low carbon footprint materials, solar powered, and they are working on growing their own food. 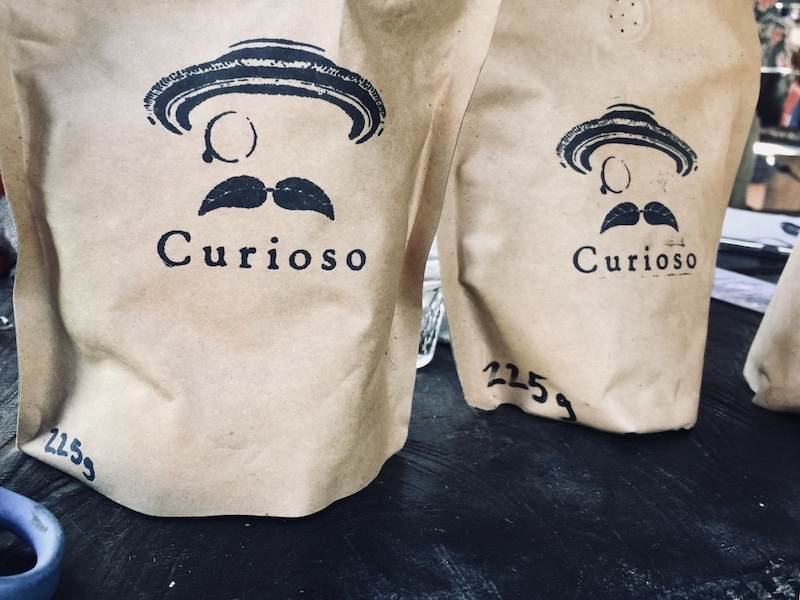 The town has a small cafe with locally roasted coffee, a cafeteria where all your meals are included for $10, and a central gathering space with a campfire. We walked through the food forest where bananas and plantains grow wild to get where we would be staying at Bodhi Hostel. 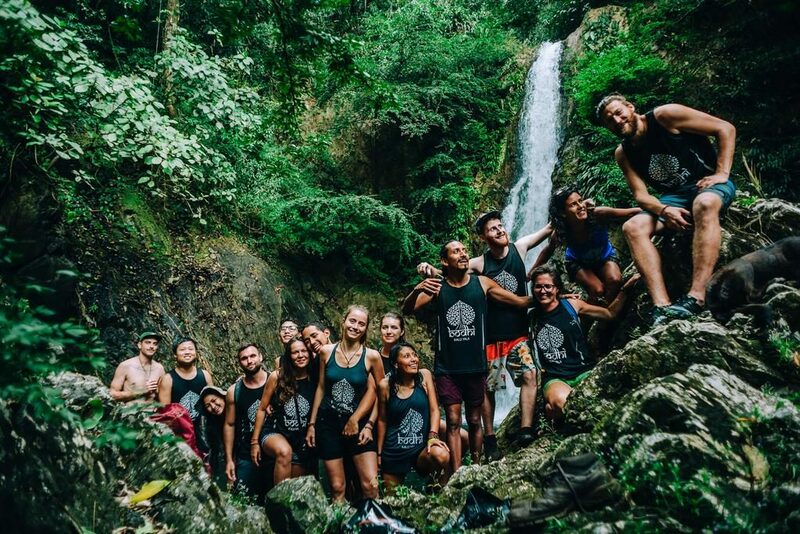 Bodhi Hostel has made “surviving” in the jungle an extremely comfortable experience. The hostel is made up of multiple covered areas: a social area with couches, games, and hammocks, and three areas for sleeping. Something I love about the structures though is that there are no walls so you’re always immersed in the outside surroundings, but have a tent when you need some privacy. They have smaller tents for individuals and larger ones for couples. 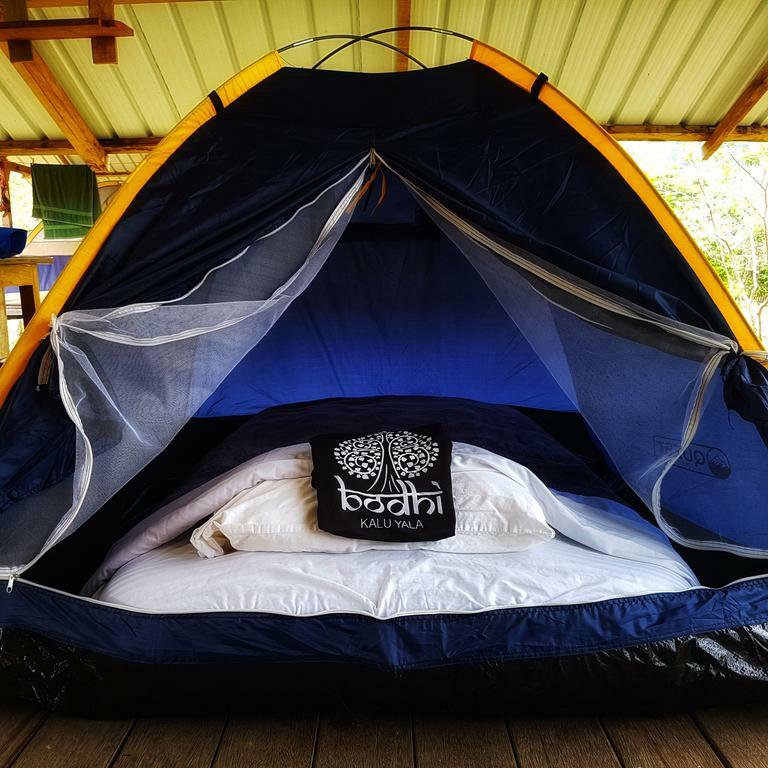 Each tent is lovingly prepared with an air mattress equipped with clean sheets, fleece blankets, and plush pillows. There are also nice private showers and bathrooms off to the side to make this the most comfortable camping experience possible. 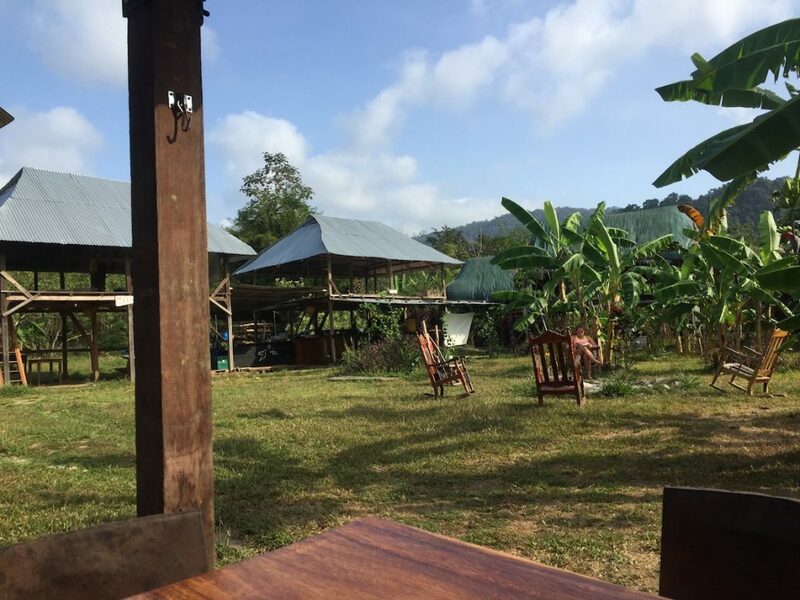 Staying at Bodhi Hostel in Kalu Yala was overall an amazing spot to disconnect that offers an alternative eco-tourism getaway in Panama. I hope everyone gets a chance to check it out! If you would like more information about staying at Bodhi Hostel in Kalu Yala, visit bodhihostels.com.